OoOoOh, I want to join! I adore clouds. How come WE never get pink clouds that look like up-side-down dinner plates?! Cool! 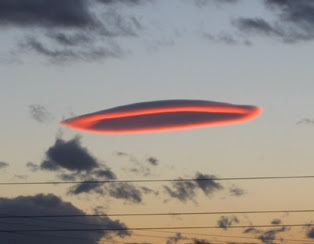 It really looks like a UFO! My dad is a Big believer. He thinks Stonehedge is an alien landing site.